Pioneer in setting up a truly creative laboratory since 1997, Addictlab always has been mobile and modular. And we’re always looking for tools that can help us. So we’re quite happy we could …buy a bus. 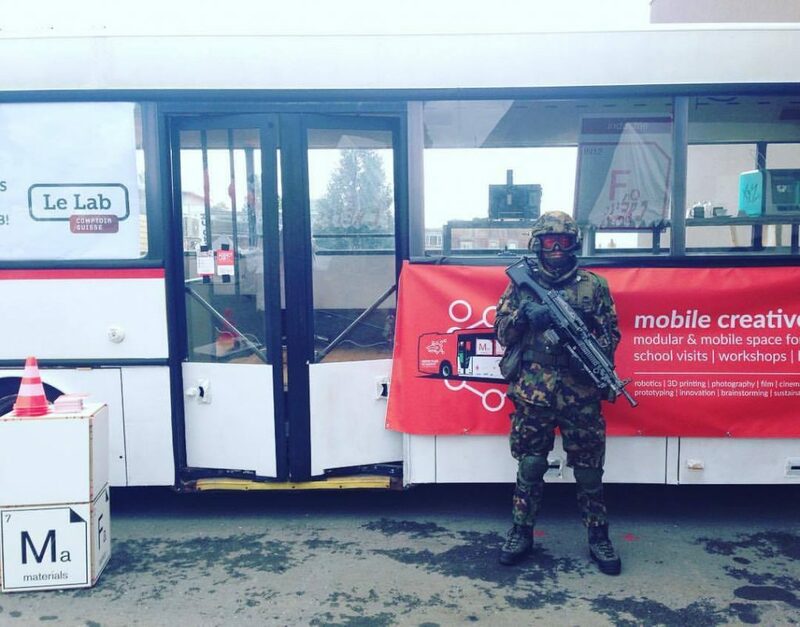 A real bus, from the Swiss Post. We’ve been cutting out seats, and figuring out how to configure it to host a series of different activities. It’s old. But it’s cool. 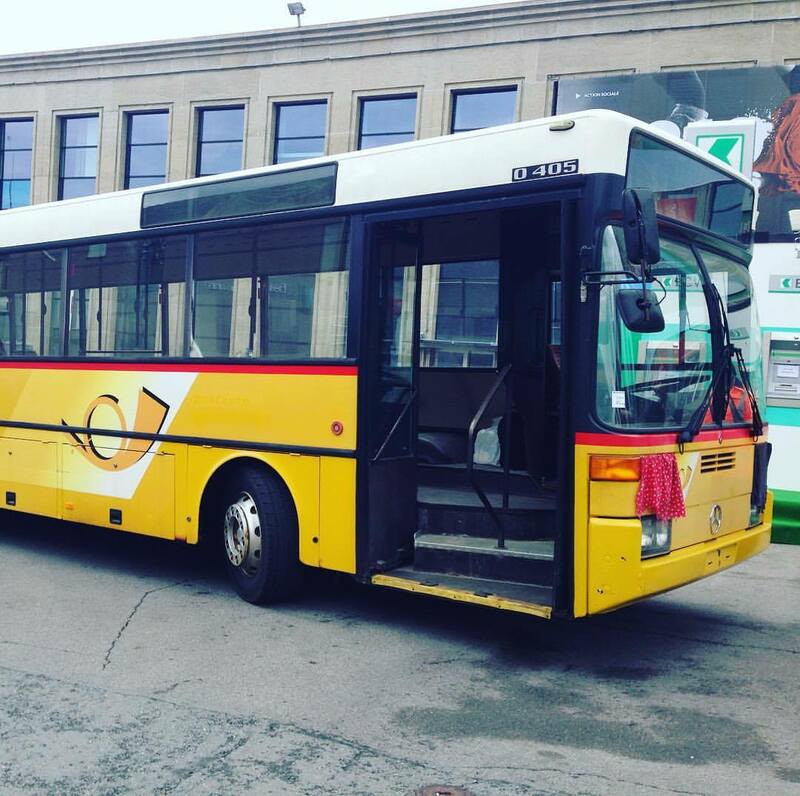 The bus: 12 meter long, served for the Swiss Post. 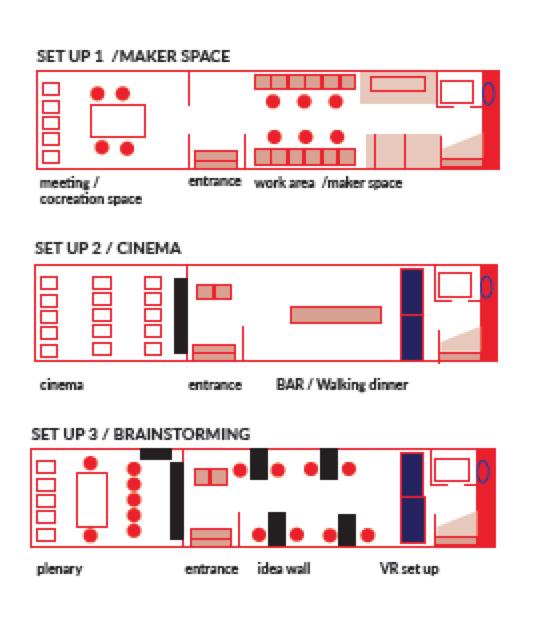 To become a truly mobile creative lab, the inside needs to be modular, to be able to host sessions inside as well as outside the bus where applicable. 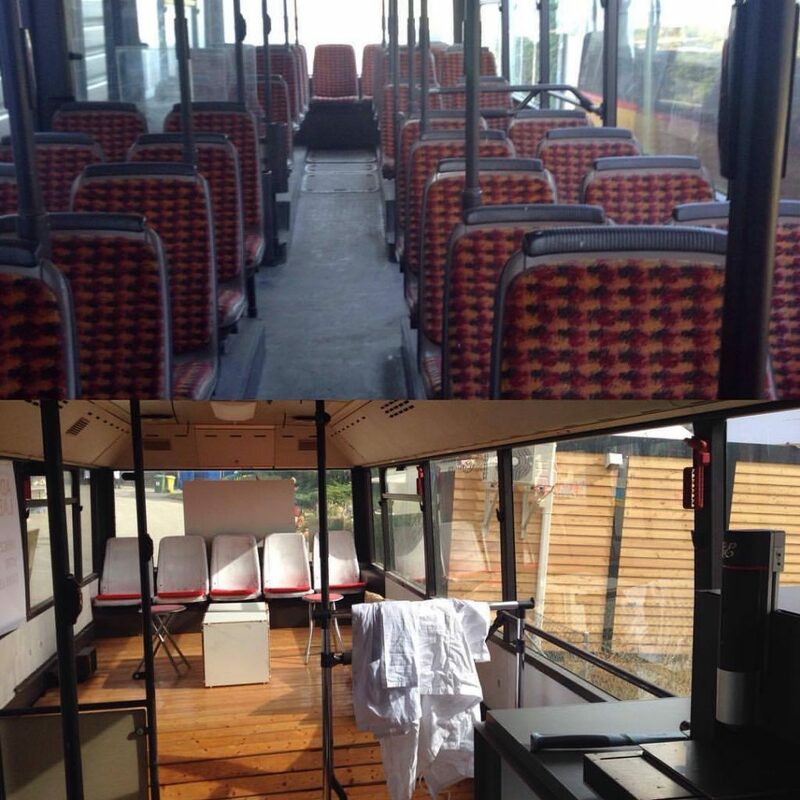 Our school labs can now use the bus, both for transport of material, as for activities in the bus and thus an extra lab space. 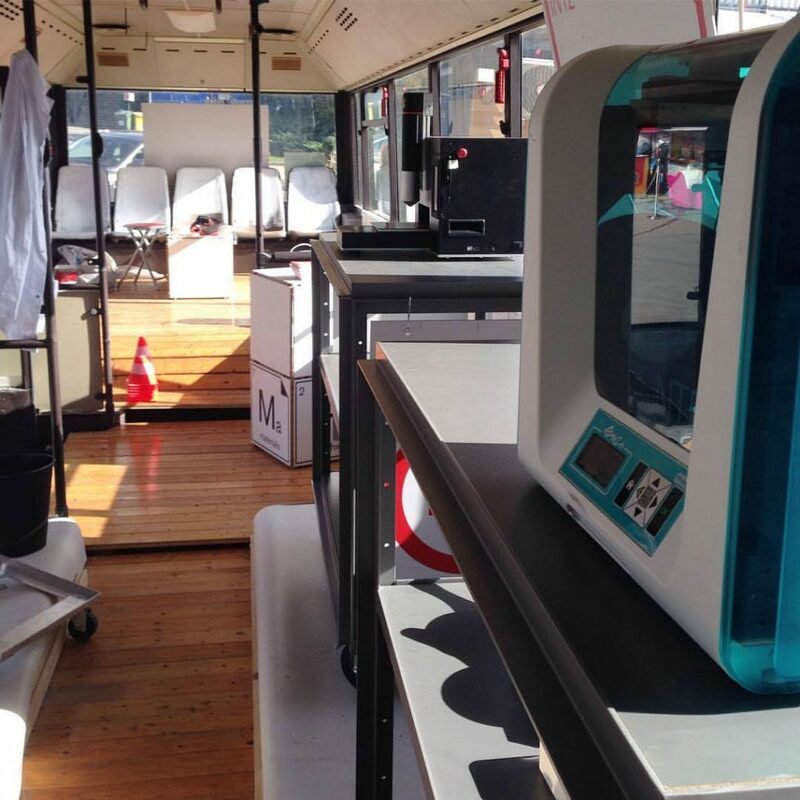 What kid wouldn’t want to enter a bus and discover the tasteful possibilities of printing pancakes or 3D chocolate? Or program robots in our robotics class? 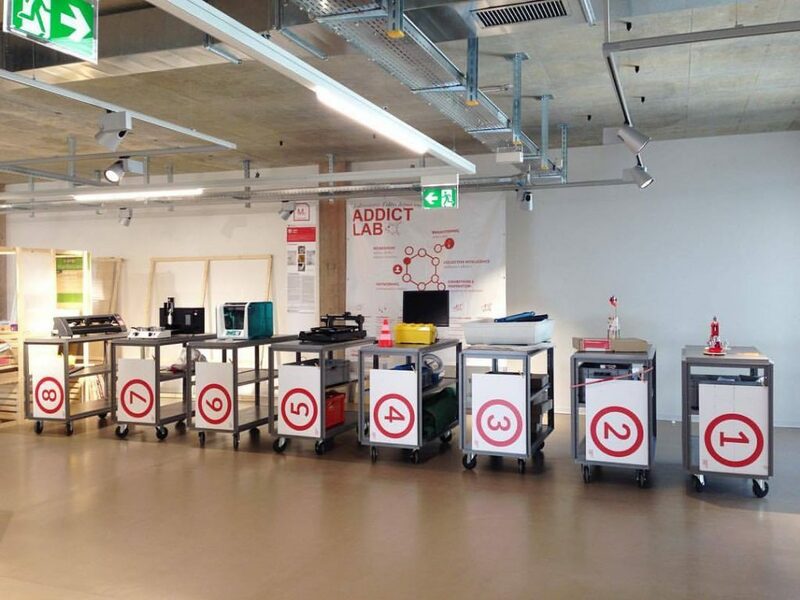 Maker space (pancake printer, 3D chocolate printer,..
Rolling trolleys with numbered activities – the addictlab academy way of working and organising – explain the flow to visitors of the mobile lab. Trolleys are rolled inside the bus for transport and rolled out at destination. Available machines include a VR set up, 3D printers, pancake printer, vinyl plotter, Thymio robots, Sphero robots, 3doodler pens and much more. Check out all our workshop activities. Addictlab’s adagio is to mix creative disciplines. So we are creating different functions and concepts, for brainstorming, a dark room, a cinema, a class room, a maker space or a Food lab. 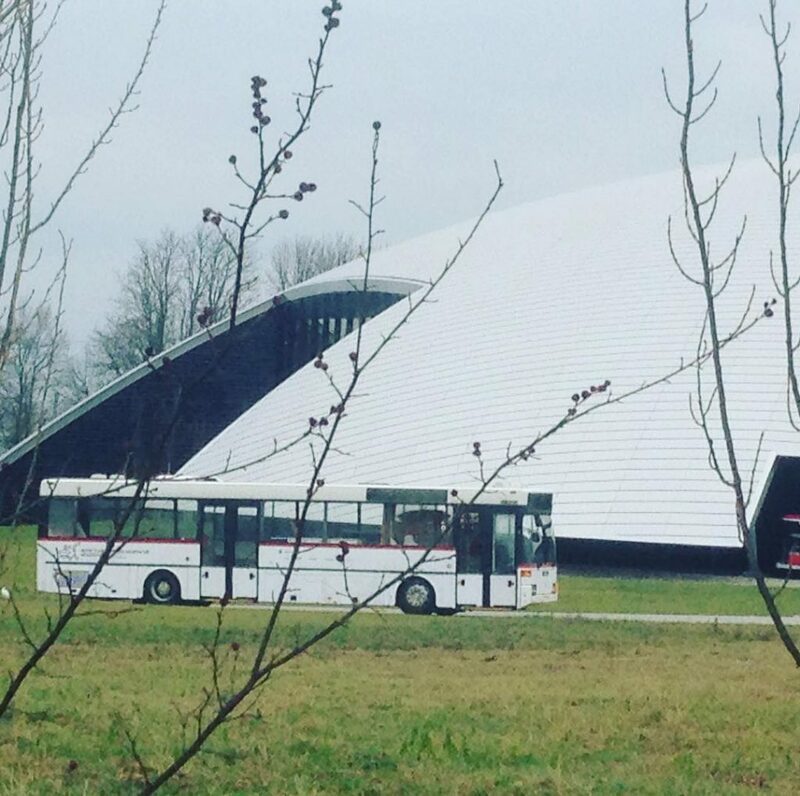 The bus is currently parked near the United Nations, at the campus Biotech in Geneva. 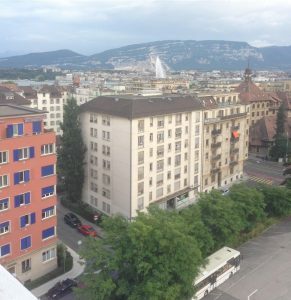 Conveniently close to the FabLab space of the SDG solution space, University of Geneva, partners of Addictlab. The bus was parked before at the Le Rosey school, Rolle. Know of other locations for activities or just for parking allowing us to work on it? Get in contact! 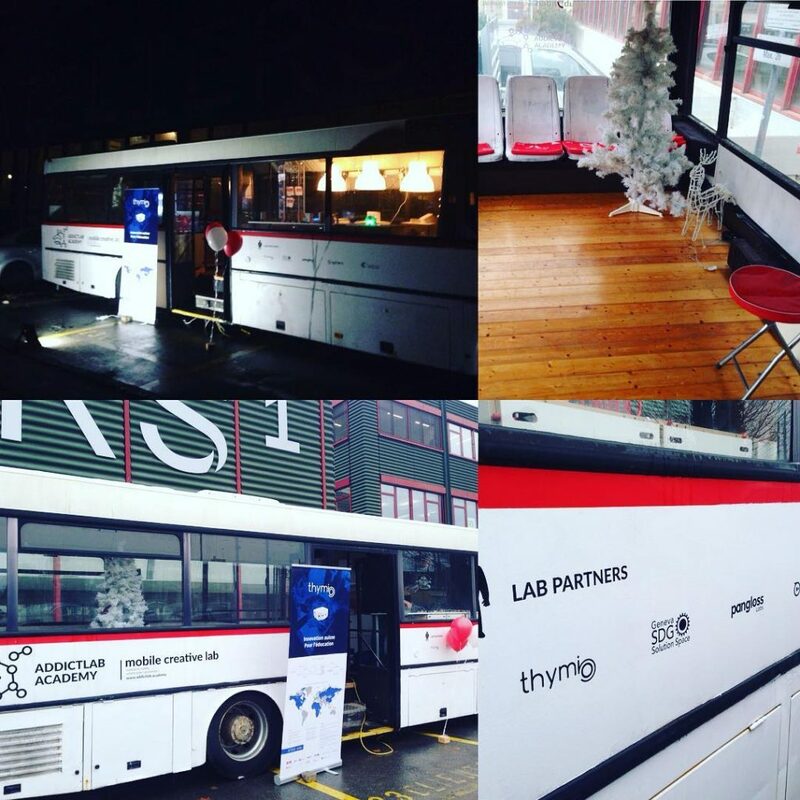 Mobsya, the non-profit organisation behind the Thymio robots used the Addictlab bus for demonstrating the Thymio robots at Christmas. 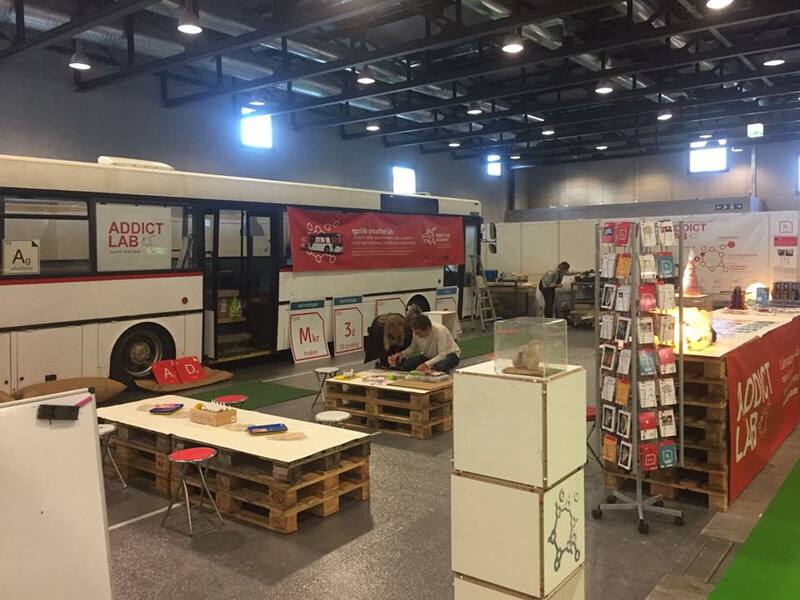 About 100.000 visitors of the Comptoir Suisse discovered the bus and its make-over during the 10 days of the fair in Lausanne.